Dubai based Emirates airline will commencing its fourth daily flight between Dubai (DXB) and New York’s John F. Kennedy airport (JFK) from March 8, 2015. 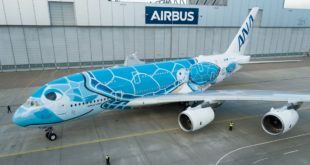 The airline already operates two daily non-stop flights using the Airbus A380 super-jumbos and one flight via Milan Malpensa using a Boeing 777-300ER. 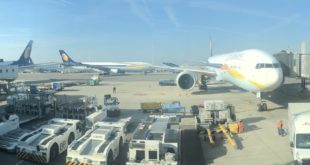 The flight will be operated by another A380 in a three class configuration 14 first class suites, 76 lie-flat business class on the upper deck, and 399 economy class seats on the lower deck. EK 207 departs Dubai at 14:50 arrives in New York JFK at 20:35. EK 208 departs New York JFK at 16:30 arrives in Dubai at 13:15 the following day. 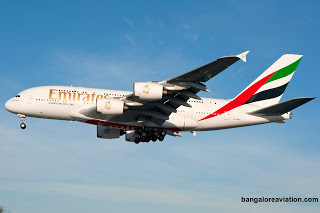 Emirates first flew to New York in June 2004 and since then has flown over 4.5 million passengers on the route. 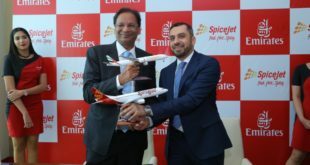 The fourth flight is targeted to connect with customers in Africa, India and the middle-east from Dubai. 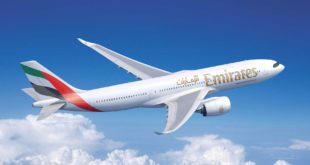 From New York, Emirates intends to leverage its 2010 code-share agreement with JetBlue Airways (B6) and offer connectivity to points within North America. At JFK airport, JetBlue operates from Terminal 5 and Emirates from Terminal 4.